I was thrilled to work on this children’s book for Duopress Books. Doodle Florida invites children to create, imagine, and sketch their way through the Sunshine State’s major landmarks and cultural attractions. It is filled with more than 100 unique, region-specific doodles and activities for children. For any of you who enjoyed my culinary map for “The Local Palate,” here’s a little sneak peak of the map for the march issue. Just received this in the mail! I recently was commissioned by “The Local Palate” to produce some illustrated maps and they came out great! 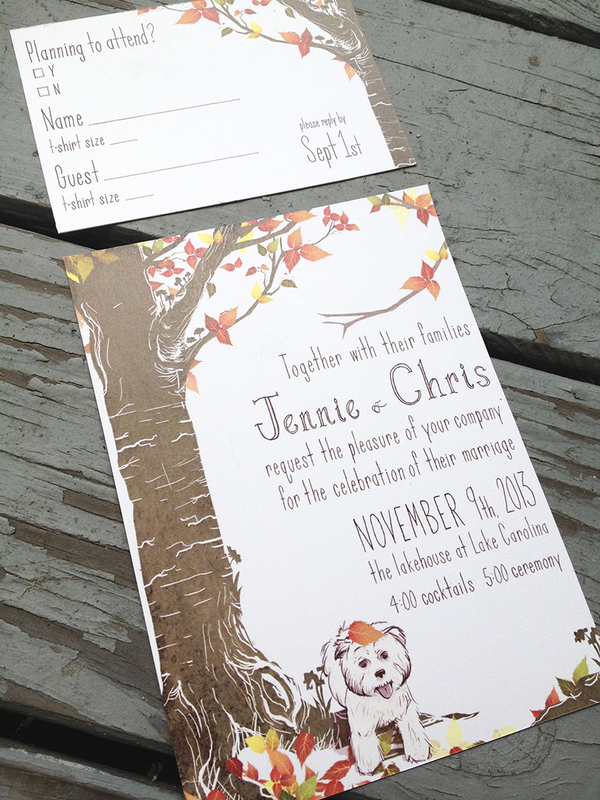 I was pleased to create these wedding invitations recently for some friends. They were the ideal clients giving me complete creative freedom! The only stipulation was that their dog, Tom, make an appearance! I did this number for Mom for Mother’s Day. She collects dolls and has been asking for an illustration of Matryoshka dolls for a while now. This was a very interesting project to work on. I did quite a bit of research to determine how I would design them based on traditional russian patterns and themes. Enjoy! I grew up doodling in notebooks and napkins always with a passion for drawing and artistic expression. I studied the fine art of illustration at the Savannah College of Art and Design. I specialize in editorial, portrait, travel and food illustration, and am available for commissions!